Daddy is better than Disneyland. The wild swirling, twirling up in the sky, twisting all around and turning until sick types of play is what makes Will the best daddy in the world in the eyes of Gracie and Annelie. Practical and precautious me usually freaks out and hovers around, shouting, "Watch her head,"
"She just finished eating! Don't make her sick!" "She's too high, she'll get scared!" But of course, Will just ignores me and swings her higher. Do the girls mind? Not one bit. 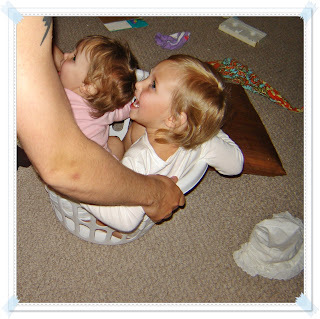 And when I see the fun, the laughter, the big eyes wide with excitement only Daddy can create, I have to turn a blind eye to the messy-looking laundry pile (clean, of course) and the laundry basket now filled with two wildly laughing little girls. Yes, I hope Will is going to put the laundry back in the basket when they are done playing (or better yet, help me fold it and put it away). Of course I know that he wont (guys just don't seem to think like that, do they?). Sometimes, you just gotta ignore the mess and enjoy the laughter because, while dance parties, tea parties and cookie baking belong to me, rough-housing, rugby, and roller coasters are all for Daddy. And that is what makes Daddy so special. Oh how cute are your girls??!! 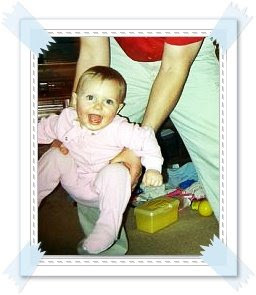 The laughs that are caused by daddy are just super sweet aren't they? 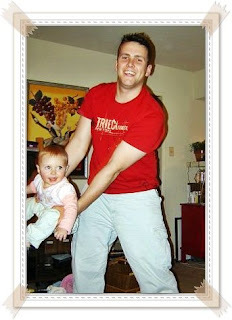 What a cute blog..Isn't it funny with children, sometimes they like the flying around in the air. So sweet! They'll love seeing those pictures when they're older and remember how much fun they had! OMG this is the cutest post ever!! What a fun daddy!! That's adorable! 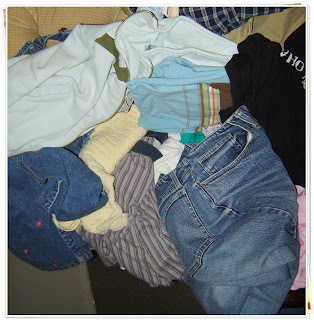 My husband did that with our daughter, too, with the laundry basket. At 9 years old, she doesn't fit anymore! Your girls are so adorable! Their fun with Daddy reminds me of how my DH plays with my boys. I have to look away! How fun! 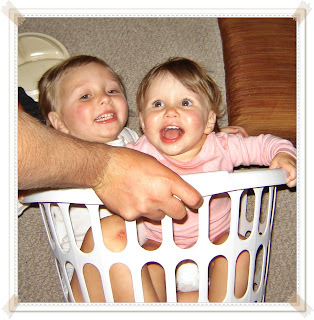 We play in the laundry baskets here too! How cute your girls are! I remember those days of panic when the kids were getting tossed around by daddy. When they got older the wrestling started and I had to worry about the kids and my glass coffee and end tables! My husband does that too! The kids absolutely love it! They'll remember that for years to come. You girls have perfectly pinchable cheeks! This post & these pics made me smile. So funny how the fathers all do the same things & the mothers all say the same things! We had those days too but now they're 7 & 10 yrs old & we have bad backs! This reminds me so much of my husband and my daughter playing together. What an adorable post! I'm serious! This one is soo darn cute!! :) You are a blessed girl! !